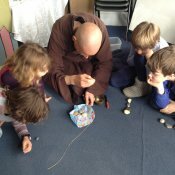 In our Early Years department (Nursery and Reception) we have been working for almost 20 years to develop ways of integrating mindfulness and Buddhist ethics into our curriculum and ways of working. The greatest challenge has been to translate this philosophy and practice into a very simple form, appropriate and enjoyable for young children. Most importantly, to have integrity in what we do and successfully share mindfulness with young children, we firstly need to practice it ourselves. Then the children in our care naturally begin to mirror this way of being themselves. It is this sharing of mindful awareness during our practical play activities which provides the nurturing environment in which a mindfulness-based curriculum can be most effective. 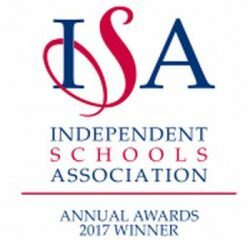 Within the revised EYFS curriculum ’Listening and Attention’ is listed as one of the most important early learning goals, as is ‘being involved and concentrating’. Mindfulness activities teach these valuable skills, but more importantly they also promote well-being; children with a high level of well-being are able to enjoy life, feel confident, and consequently learn far more effectively. 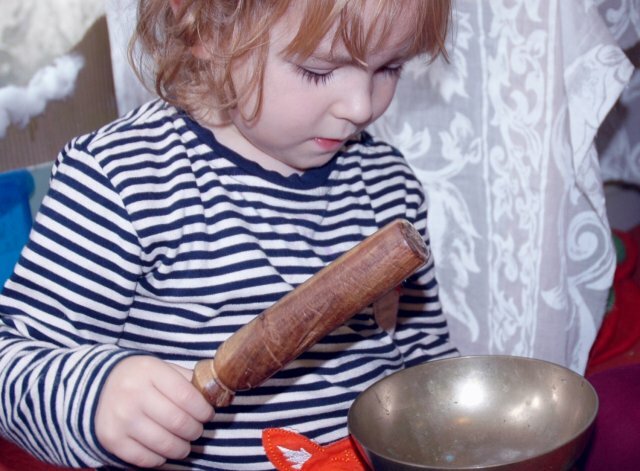 An important part of our mindfulness curriculum is the daily ‘puja’, a mid-morning carpet time, when we introduce awareness of breathing and listening to the bell, share stories and sing songs. Most of the activities we offer in Nursery and Reception involve direct, sensory, tactile experiences e.g. play dough, playing with sand and water, playing outside, gardening and cookery. These can help young children to develop their ability to concentrate, focus and become absorbed, as well as engaging their curiosity and enthusiasm for learning. Young children are naturally more focused on the sensations they experience in the present moment, allowing them plenty of time to look, hear, touch, taste and smell. It is important not to rush or interrupt, but to allow them space and time to be mindfully present and enjoy the activities. We also enjoy taking the children for local walks, bringing their attention to the sensory experiences this can offer. We begin every afternoon in Nursery and Reception with a relaxation session (which may include yoga). This is a time to bring children back to their centre; time for exploring their inner world and finding that inner calm again. Children are encouraged to bring awareness to each part of the body and let it go/relax and also to be aware of their breath. At this young age we keep posture and breath work fun, light and short. For example: blowing out a beautiful candle and blowing feathers across the room. Breath work calms restless minds and restores a natural state of balance. We also talk about how focusing on breathing and posture may help when they are angry with someone or feeling upset. Eating mindfully together, as part of the class ‘family’, forms an important part of our routine every morning. Eating and drinking healthy foods nourishes our bodies and minds and we also take the opportunity to talk about the origins of the food and express our gratitude to the earth, animals, plants, farmers, cooks and other workers who have all contributed. We have a period of quiet eating when the children are encourage to focus on the appearance, smell, flavour and texture of the food, and we then introduce vocabulary to help them describe it. We sometimes share food that the children have harvested or cooked themselves, and also occasionally include foods from other cultures, or things the children may not have tried before. Helping young children to develop emotional literacy and an ability to handle strong emotions within themselves is another important aspect of our work, and one which mindfulness practices can really support. We want children to develop some understanding of their own inner landscape, in order to learn that they can have some control over their own emotions and well-being. We also want them to understand that suffering strong emotions such as anger and sadness are something we all experience. We encourage children to be compassionate and caring towards other children in the group who are hurt or upset, and we give recognition to children who show kindness and try to help. We try to give young children as much support as we can by creating a ‘family’ atmosphere within Nursery and Reception. We put a lot of emphasis on encouraging turn-taking, sharing and co-operation. We allow time ourselves to listen carefully to what children are saying, in order to better understand how they are thinking and feeling, and we also encourage children to listen carefully to their classmates and consider the feelings and ideas of the children they are playing with.